Should I Update My Website Design and Backend? When is the right time to update my site, what should my design look like and do I need a professional designer? It can be costly to redesign or update your website. But not doing it could cost you even more, especially if e-commerce is your primary form mode of business. Your website is the home of your brand – in this day and age even more so than your physical premises. It is the place potential customers go to in order to find out who you are, what you do and why you do it. If your website leaves a poor impression with visitors it can be hugely detrimental to your brand and your business. If your business operates by e-commerce, then there is simply no excusing an outdated website. You won’t make sales, and your business will fail. So how can you tell if your website needs updating (or even replacing)? If it is time to update what sort of design elements should you be considering? Let’s take a look at each of these questions in turn. A wise man once wrote, “Websites age in dog years”. What he was saying is that for every year that your website exists it ages seven. With the rate at which technology is improving if you don’t keep your website up to date you will quickly be left behind, and your customers, who expect nothing short of the best service, will leave you for someone who can meet their demands. It’s 2018. If your website isn’t responsive yet you may as well just place your landline listing in the phone book and be done with it. What is responsive design? A responsive website is one that adjusts in size and functionality depending on what kind of device you are viewing it from. So, if you view it on a desktop it will look slightly different to if you are viewing it on a tablet or smart phone. The difference isn’t just in the size of the screen. A responsive site is sensitive to the different speeds and data availability for different devices and it compresses your website accordingly. This is not just a button to take visitors to your Facebbok site. Your website should be set up in such a way that vistors will receive valuable resources (Such as guide books or tips, or even discounts) by signing up to your blog or newsletter. This allows you to send them well crafted marketing material and links to your latest blog article on a regular basis. In days gone by websites had a separate blog that was accessed through the main site. Today it should be built in as a feature of your site. Blogging is a proven method of inbound marketing and you should absolutely be taking advantage of it. If your website doesn’t have a built in blog it’s time for an update. This is a sign that your site is in need of an update. If you have web traffic but it doesn’t convert then you need to look at why. It could be that your landing pages are not optimised or that your site is just too unresponsive or old fashioned. It breaks the trust of people who visit your website. This is a sure fire sign that you are either targeting the wrong markets in your Adwords campaigns (or your Social Media campaigns) or that your website is not User Friendly. A high bounce rate is indicative that the visitor is either having a negative first impression or they can’t easily find what they are looking for. If your UX is outdated people will simply leave your site. A user friendly website should be: easy to navigate; offer valuable information to the visitor; be interesting to the visitor; be able to predict their preferences using machine learning; offer remarketing once they leave the site; and much more. Red Alert! If your web pages take a long time to load you need to have your site assessed urgently. Whether you need a completely new site or just a few upgrades is between you and your web designer, but something needs to be done urgently. Remember that even if you can’t afford to recreate your entire website, you can probably implement fixes starting with the most important pages and removing redundant apps and features. If you add new products and other content to your website yourself and it’s getting harder to do, it’s probably time for an updated website. CMS (Content management systems) are being introduced and updated all the time. If yours gets outdated it won’t display properly on different devices and it could mean the loss of sales and customers. 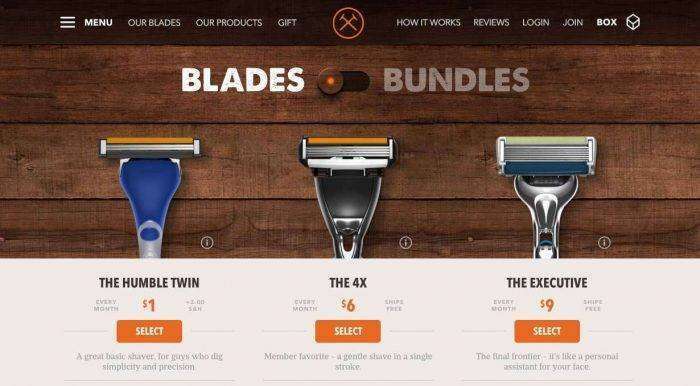 If you have had the exact same site carrying the same products for more than two years then your customers are probably bored of looking at it. They want to be inspired when they visit your website – they want to feel that new things are happening and that you are keeping them up to date. Make sure your look is fresh. In the same breath, make sure that your meta data, image alt text and categories are updated too. 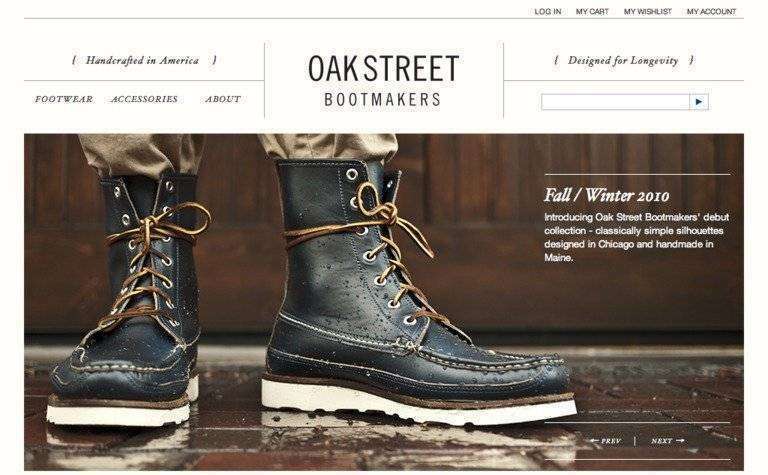 At the end of the day your e-commerce website exists to help you make conversions. If your payment gateway is not secure, or if it is out of date, you will have very serious problems from a business point of view. Make sure that your security is as up to date as the hackers and security thieves. Can visitors share their finds and wish-lists? Your website should not only link back to all of your relevant Social Media channels for visitors to follow you, it should also allow them to share the things on your site that excite them. Whether it is a blog article that’s relevant to them, or a product they want for their birthday, they should be able to share it via Social Media. If you have gone through the list above and decided that it’s time to update your e-commerce website, you will be looking for some design inspiration. You want a website design that is functional, up-to-date and modern without being too flash-in-the-pan trendy. The trick is to make sure that every design element you work in to your new website is functional and supports your sales and marketing goals. If you have something just because it’s trendy, without it adding value to your site, it will quickly outlive its appeal. Automated bots and cyber assistants are no longer high tech, they are expected. Make sure you are using software that utilizes a combination of deep learning and virtual assistance. Deep learning and machine learning are another of the once Sci-fi like technologies that are now mandatory. Make sure you are using them. (but they should still be small files and load fast) Customers want details. Video and Images are there to help you sell, tell your story and attract customers. Use less text, clear concise, SEO copy and focus on your appealing visuals. This follows from the “is your website responsive” question above. More and more people are making purchases from their mobile devices. Make sure that your website is fully optimised for mobile experiences. Long scroll is the friend of mobile – and people are accustomed to it. We prefer to scroll through than having to open new pages. A lot of trending new sites are using animated videos to demonstrate how their products are used. Here are some websites that are getting it right. Take a look at what they are doing and see if any of them inspire you. Ask your web designer to help you create a website that brings in some of these elements: space, functionality, visuals over text. The legends of YouTube marketing – this website is everything it should be and nothing more, and it works. 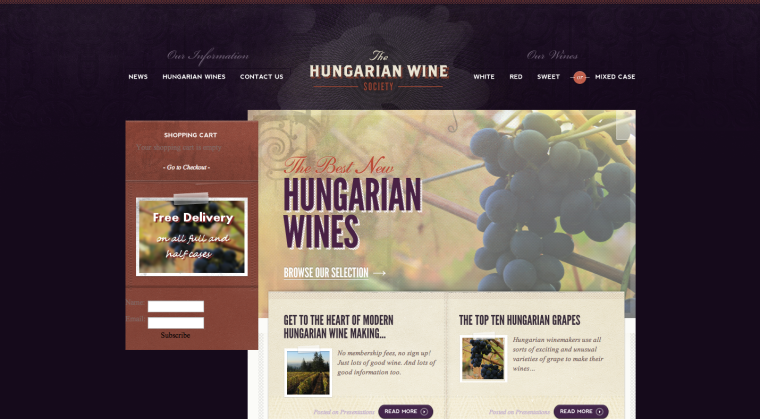 This site looks simple and sophisticated, but it gives the visitor exactly what they’re looking for. It also highlights perks like free delivery without being tacky. This website is clean and appealing. It is conscious of its target market and doesn’t clutter the visitor experience. 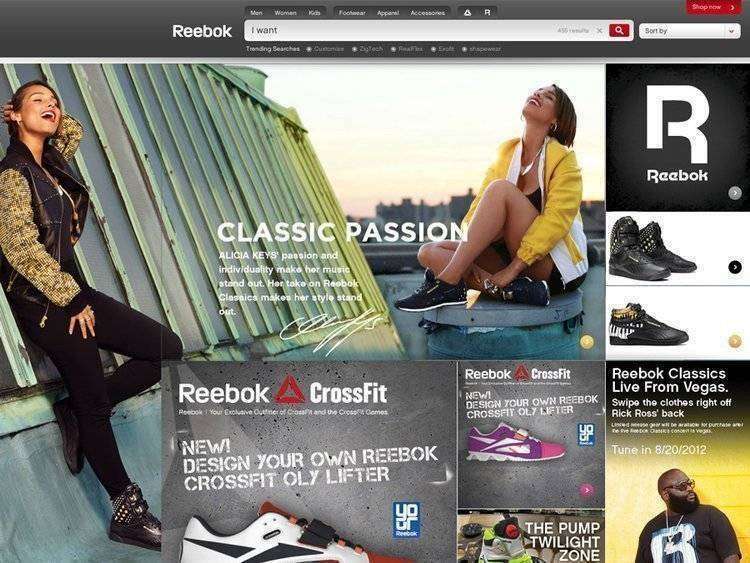 Using imagery to appeal to their target market, Reebok offers a friendly user experience, convenient checkout and easy delivery options in a clean, open background. For more ideas see the 2017 Awwwards.